I designed a mini album around one of my favorite poems, just for recording those everyday photos that are so precious. This customizable 8x8 album is perfect to cherish those memories of a relationship, family, and more, and you'll be done in no time! We have split this class into 2 sections: The Album Class, where you will create the digital files for your unique album, and The Assemble The Album section, which walks you through the process of printing and assembling your album. Gather your Normal Day Photos, and join us in cherishing our favorite kind of days! Templates for the album, including .PSD files. 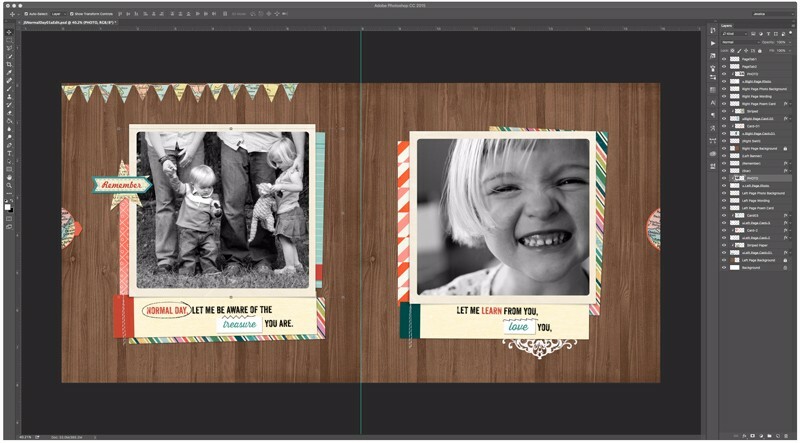 A digital kit, with papers, embellishments and photo frames. 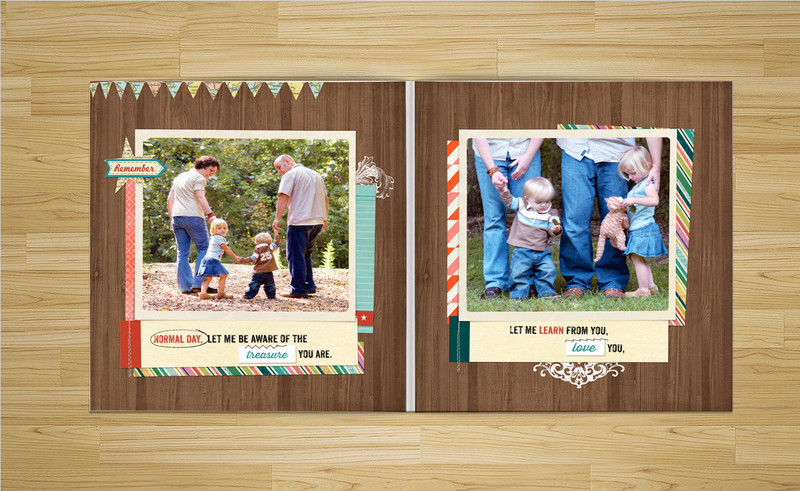 At the end of class, you will have a complete Normal day album, which you designed, printed and assembled yourself! We love to see your artwork, and with any JessicaSprague.com class, there are multiple ways to reach out, share your work and ask questions! Enroll now and I'll see you in class! The course starts in January 2016 and never ends! 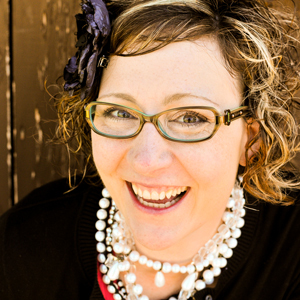 It is a completely self-paced online course - you decide when you start and when you finish.